What are the methods used in microfluidics for sealing your microchips ? In order to form functional micro features, the channels which are open after the fabrication step have to be sealed without clogging the channels, changing their physical parameters or altering their dimensions. So, the sealing of the open microchannels is a critical step. It involves bonding a capping layer to the microchannel substrate. There are parameters (bond strength, bond interfaces, surface chemistry, optical properties, material homogeneity and compatibility of the channel sidewalls, manufacturability,…) that must be taken into account when selecting an appropriate bonding method. Indirect bonding involves the use of an additional material or chemical reagents to perform the bonding, such as epoxy, adhesive tape, or chemical reagents. Thermoplastic bonding uses an intermediate layer, such as metal or a chemical reagent and could be performed with different methods, such as adhesive bonding or microwave bonding. Glass-PDMS bonding is one of the most common methods in microfluidics research. The PDMS can be bonded to the glass reversibly by simply placing it onto the glass chip after some simple cleaning and pretreatment steps (self-sealing) but also irreversibly after an oxygen (or air) plasma treatment. The plasma treatment generates Si–OH silanol groups that undergo condensation reactions to yield Si–O–Si bonds that have a burst pressure between 24 and 74 psi. 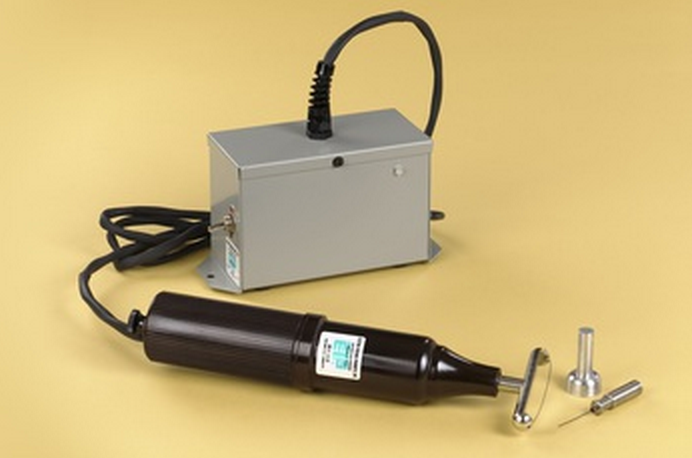 BlackHole Lab offers this device in its PDMS replication kit. Disadvantages: chemically reactive for only up to ten minutes after treatment, can easily damage organic molecules, complicated microfluidic device fabrication which can make scaling-up difficult . Corona-triggered PDMS bonding works in a similar way to oxygen plasma, but is much cheaper. However, it is also short-lived and presents low throughput and non-uniformity of treated surface which limits the method’s utility . BlackHole Lab offers this device, you can see more here. Advantage: cheaper than classic plasma cleaner. Disadvantage: lower quality than classic plasma cleaner. The different welding techniques provide interesting options for highly localized welding of thermoplastics but have not been significantly adopted for microfluidic bonding applications. Use of ultrasonic energy is a common non-adhesive and non-mechanical method which induces heating and softening at the interface of the mating parts. By optimizing several parameters (chip machining, welding parameters – force, power, time -…) precise bonding can be achieved. Advantages: energy can be either introduced locally for targeted bonding of specific regions, or globally for uniform bonding; the method provides also compatibility with many thermoplastics, the ability to solder various plastics and to weld plastics to other materials (metals…). Disadvantages: need for special chip designs to effectively direct and focus energy at the desired weld points (efficient chip prototyping is difficult to obtain). This alternative method allows to heat embedded metal films located between the desired bond surfaces. It can use frequencies around 2.4 GHz with 10W power for a reduced time (less than 5 minutes). Bond strengths of 1–2 MPa can be obtained. Disadvantage: it requires the additional step of metal deposition, which may induce system contamination or act as an electrical shunt. This method is used to achieve localized sealing of microfluidic chips and can especially be used for the bonding of contours, planes, and at local spots. Advantage: high resolution local bonding. Disadvantages: might need some absorbing additives, can cause increased stress cracks, requires a very precise alignment of substrate, lid foil and laser head. 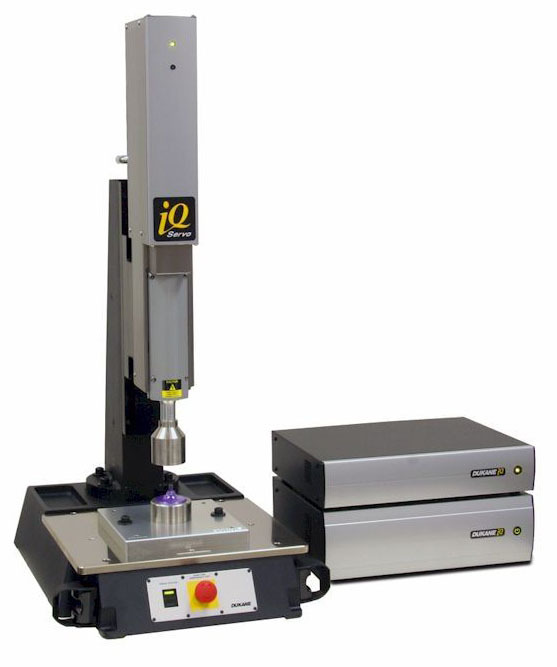 When foils are laser bonded, the depth of focus must be very precise . Solvent bonding of thermoplastics is carried out at room temperature or decreased temperature levels and takes advantage of polymer solubility in selected solvent systems . Solvated surfaces allow the diffusion of polymer chains across the solvated layer leading to extensive nesting of chains between the surfaces which results in very strong bonds. Advantages: can be a high throughput process, scalable process from prototyping to mass production . Disadvantage: temperature stability of the bonds depends significantly on the complete evaporation of the solvents (the presence of solvents causes stress cracks and cloudiness) . Neither truly reversible nor strictly irreversible bonding, adhesive bonding is a low-cost and low-temperature method for a large variety of materials combinations including metal–metal, metal–plastic, metal–composite, composite–composite, plastic–plastic, metal–ceramic systems. Adhesives are usually based on chemical effects and can often be cured at room temperature, at elevated temperatures or by using UV light. The adhesive bonding uses an additional intermediate layer, organic or inorganic; which joins the two bond partners . 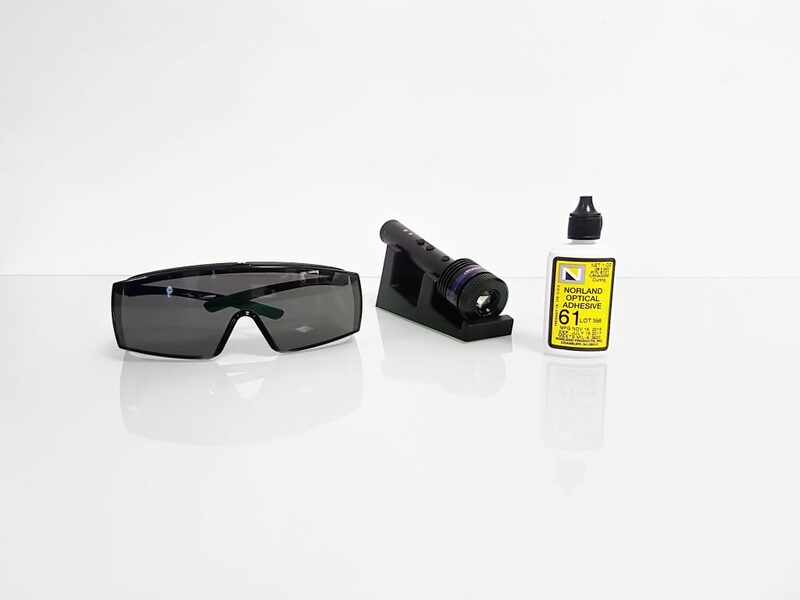 BlackHole Lab offers this solution with the UVcuring pointer UTarget. Disadvantages: thickness of the adhesive layer is difficult to control which can lead to clogging or alter the dimensions of microchannels, delamination of the adhesive layer (may need complementary molecules – amine-epoxy, amine-silanol, amine-aldehyde chemistries – to improve bonding strength but require oxygen plasma treatment and thus can damage the biomolecules possibly pre-patterned on the surfaces) . One of the simplest adhesive bonding techniques is the use of (high viscosity or not) liquid adhesives that set through the evaporation of solvent, or epoxies and acrylates that cure (polymerize and crosslink) after mixing with a catalyzing agent . Adhesion by liquid glue is an irreversible method. The glue can be deposited by different methods, such as dispensing, stamping with a spin-coated substrate,etc. To achieve a good bond quality by gluing, the process parameters need to be controlled (amount of glue, homogeneous wettability of the bonded surfaces, solvent outgassing control,…). Disadvantages: voids can form between the bonded parts, difficult to keep the process stable. Particularly, ORDYL SY300 shows compatibility with biological fluids, has a strong adhesion to different materials (glass, silicium, epoxy, resin, polymer, etc. ), presents an excellent solvent resistance and a good acid/base resistance . Laminate sealing is well suited for mass production of thermoplastic microfluidics. The use of lamination films (thermally-activated adhesives, plasticized COC sheet, etc.) present a high throughput and scalable process that requires laminators which are inexpensive and easy-to-use engines . Also, the dry film photoresist can easily be laminated onto structured wafers with a high topography profile with good planarity, no liquid handling required, good adhesion to almost any substrate, and simple fabrication process . 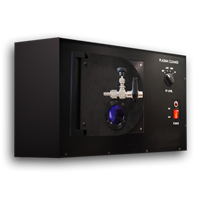 BlackHole Lab offers this solution with its Dry film lamination station. 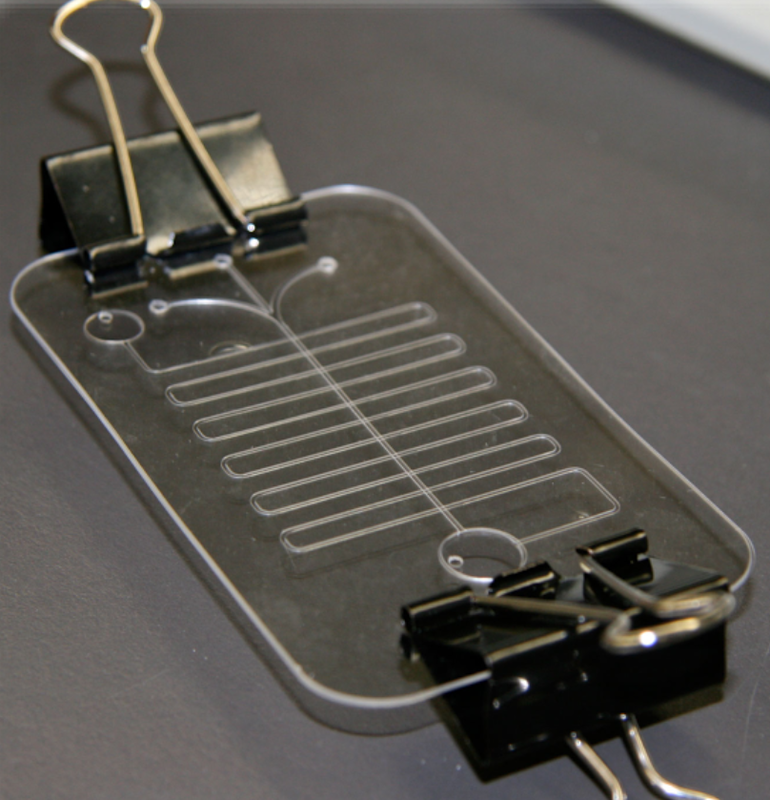 Direct thermal bonding is the most common method for sealing microfluidic chips. Thermoplastics are generally used. They are a class of synthetic polymers which exhibit softening behavior above a characteristic glass transition temperature (Tg). During this method, substrates are heated at temperature near or above Tg, while applying a pressure to increase mating contact forces. The combined temperature and pressure can generate sufficient flow of polymer at the interface to achieve an intimate contact, with inter diffusion of polymer chains between the surfaces leading to a strong bond (which can reach the cohesive strength of the bulk material). Thermal bonding can be achieved between two identical or dissimilar (the bonding temperature needed to set near or above their Tgs) materials (glass, polymers, fluoropolymers…). Using the same material for both the nano-patterned polymer sheet and the cover plate can ensure homogeneity in the surface properties of the micro- and nanochannels which made this bonding technique increasingly attractive. Advantages: the microchannels possess homogeneous surface properties when identical materials are used for both the microchannel and capping substrates, relatively high bond strengths and overall simplicity of the approach. Disadvantages: risk of channel distortion/deformation and cover plate or channel collapse (un-optimized temperature, choice of materials and pressure), crucial part of parameter optimization, not optimal quality bonding . The use of a programmable hot press, commercial bonding system, or more recently, high throughput roller laminator is generally preferred. However, optimal process values can even vary between different polymer lots, requiring that experimental conditions be monitored and adjusted on an ongoing basis. Advantages: thin and conformal layers, high bond strength. Disadvantages: usually involves poorly characterized mechanical stresses, not completely reproducible mechanical stresses, may induce non-uniform deformations of microchannels . Fast-iteration prototyping and bonding of complex plastic microfluidic devices. – Jonathan Siegrist, Mary Amasia, and Marc Madou. Tsao, C.-W.; DeVoe, D. L., Bonding of thermoplastic polymer microfluidics, Microfluidics and Nanofluidics. 6(1):1-16 · January 2009. Tsao, C.-W., Polymer Microfluidics: Simple, Low-Cost Fabrication Process Bridging Academic Lab Research to Commercialized Production. Micromachines 2016, 7, 225. 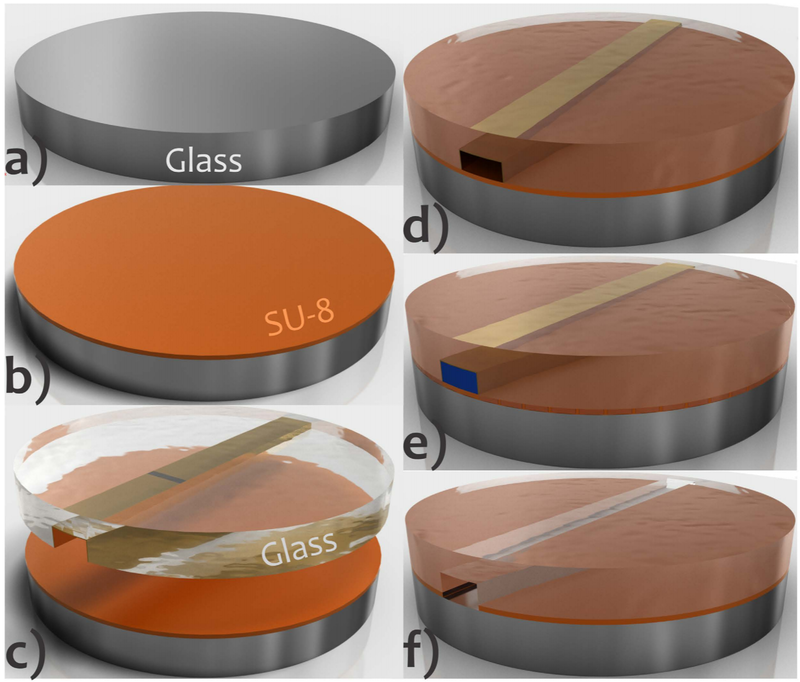 Beh, C. W.; Zhouab, W.; Wang, T.-H., PDMS–glass bonding using grafted polymeric adhesive – alternative process flow for compatibility with patterned biological molecules. Lab Chip, 2012, 12, 4120–4127. El Fissi, L.; Vandormael, D.; Francis, L. A., Direct assembly of cyclic olefin copolymer microfluidic devices helped by dry photoresist. Sensors and Actuators A 223 (2015) 76–83. Hansen, C. M.,The universality of solubility parameter. l&EC Product Research and Development, Vol. 8 No. March 1969. Ogończyk, D.; Węgrzyn, J.; Jankowski, P.; Dąbrowski, B.; Garstecki, P., Bonding of Microfluidic Devices Fabricated in Polycarbonate. Lab Chip, 2010,10, 1324-1327.